The greener, the better. Let us collaborate on your next green roof project. 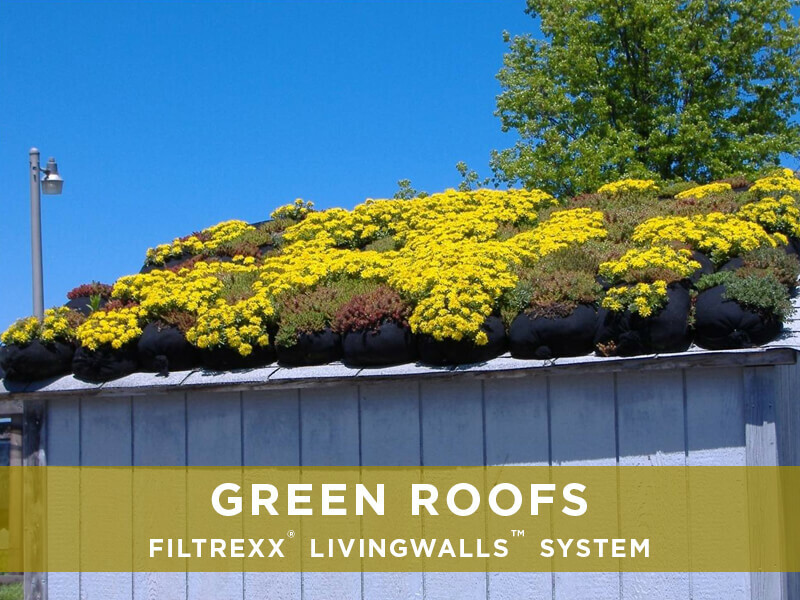 A green roof or living roof, is a roof of a building, house or structure that is completely or partially covered with vegetation and a growing medium, planted over a waterproofing material. 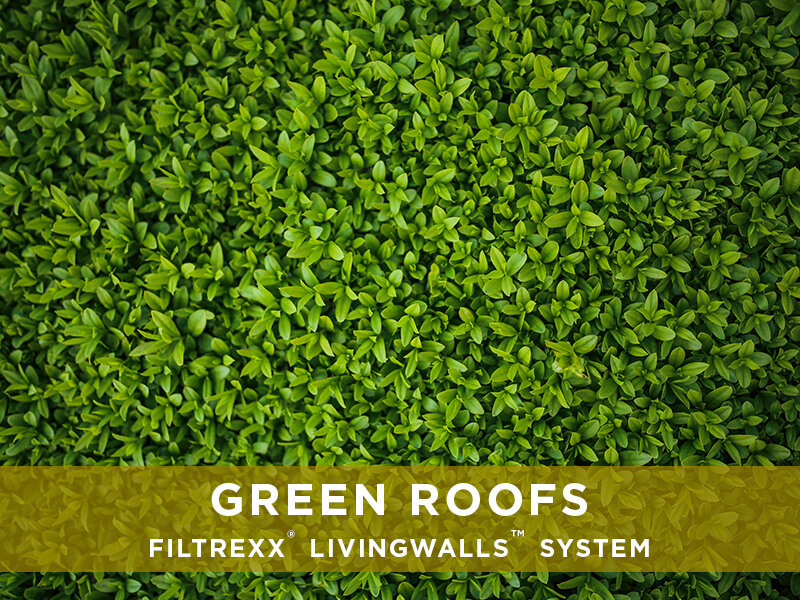 Filtrexx® Green Roofs are multi-functional roofing systems designed to mitigate the impact of urban development by managing storm water, reducing building heat absorption, and creating valuable green space. 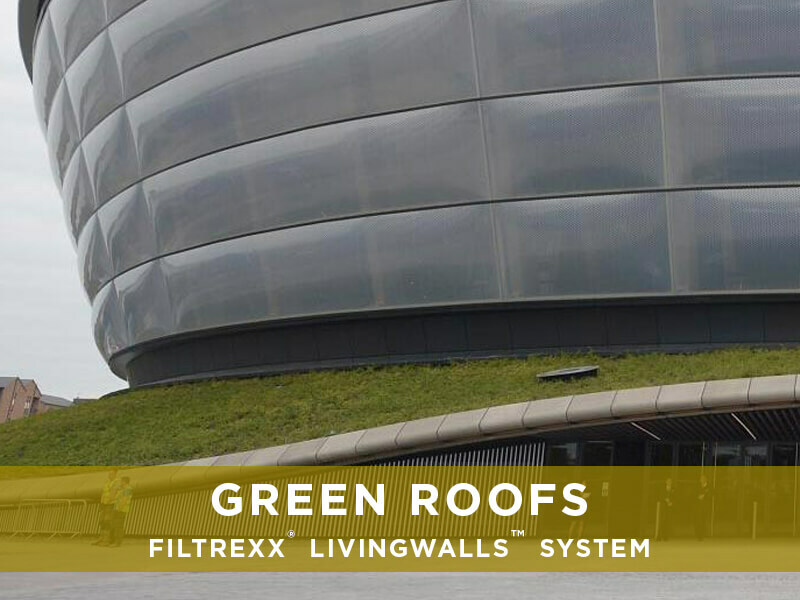 Filtrexx® GrowingMedia™ may be utilized as an important component of the green roof soil media. Green roofs can help reduce the heat island effect through evapotranspiration and adding shade, while reducing carbon dioxide and adding oxygen to improve air quality. Among other benefits, they can also help mitigate stormwater runoff and filter pollutants. Depending on the final application, Filtrexx can use GroSoxx® for mainly green, grass landscapes or GardenSoxx® to create urban, agriculture areas where vegetable production is possible. 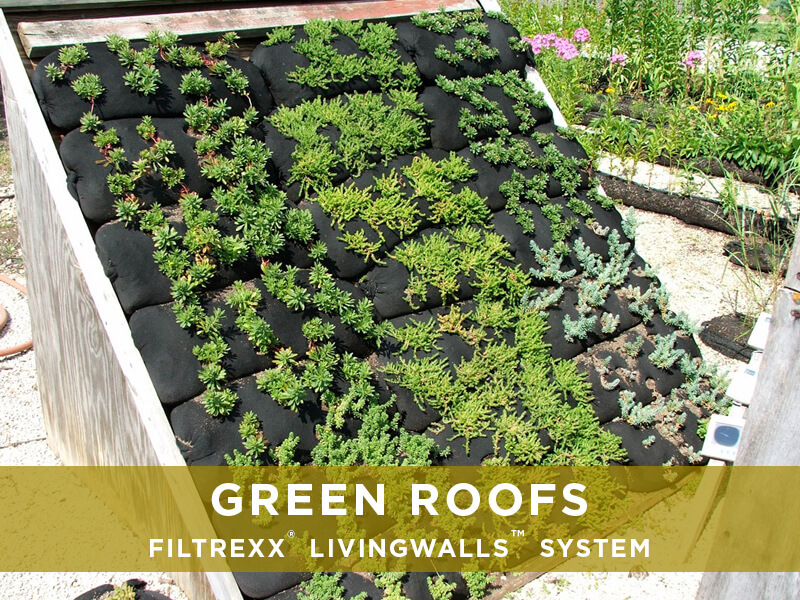 Installing a Filtrexx Green Roof system is easy, affordable and sustainable. Gain access to our product specifications and CADs and view our entire Filtrexx Design Manual to find best management practices (BMPs) and low impact development (LID) solutions. View our calendar of webinars and seminars and sign up to learn more about Filtrexx® Sustainable Technologies.